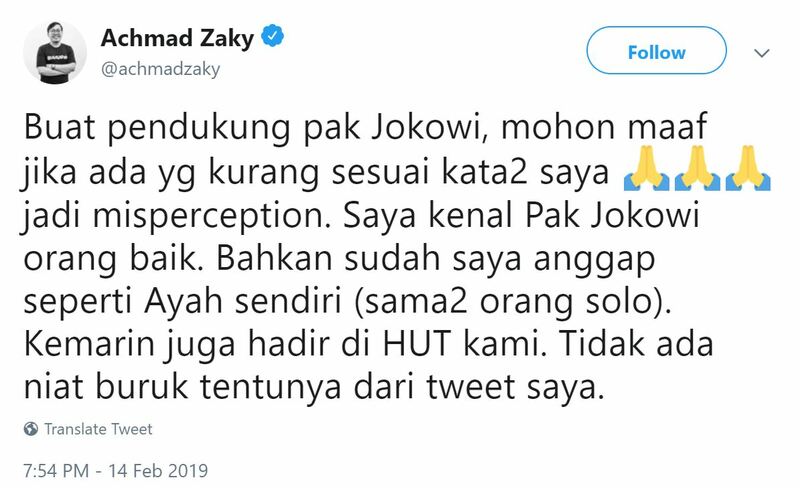 Did Bukalapak’s Achmad Zaky really apologize? For years we have been using Achmad Zaky interview tapes to demonstrate to media training clients what not to do when speaking to the Press or, in his case, to anybody really. That’s because when he speaks before cameras the performance is usually cringeworthy for any PR professional. he usually comes across as cavalier, gruff and unpolished and saying things that aren’t always relevant and sometimes comes across as offensive. Now, of course, Achmad Zaky has outdone himself. 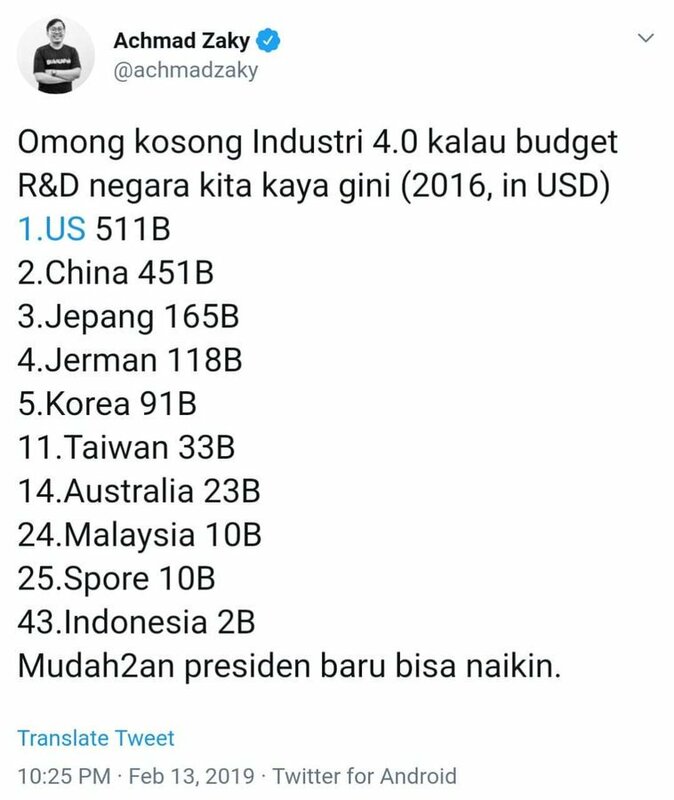 Bad enough that he implicitly criticized the government for paying lip service to Industry 4.0 (if anyone knows what 4.0 is supposed to mean please let me) without providing the funding for it. This Tweet caused a Tweetstorm from Jokowi’s supporters using the hashtag #uninstallbukalapak They feel particularly betrayed because Jokowi recently graced Bukalapak’s anniversary celebrations and appeared side-by-side with Zaky before the Press. This is a favor, according to industry insiders, that Ahmad Zaky has been clamoring for. 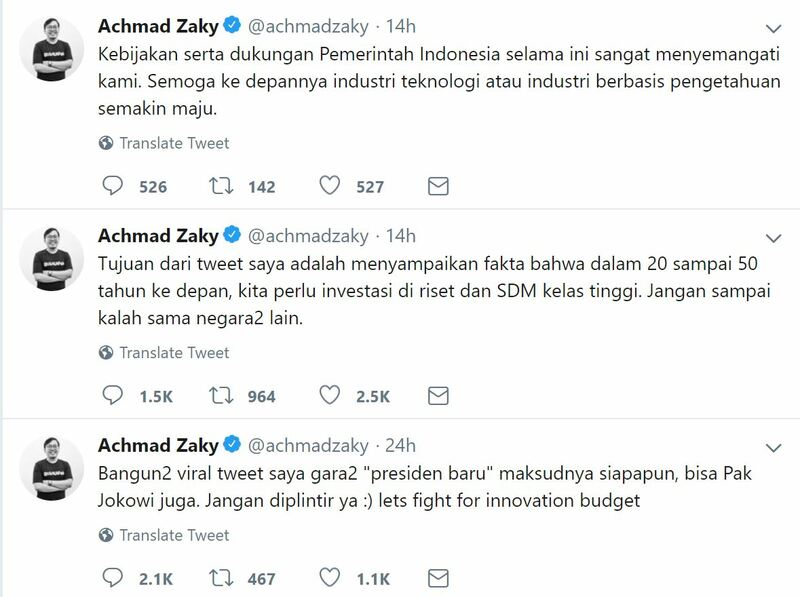 They say that Zaky has been envious his rival, Tokopedia’s William Tanuwijaya who seem to get much more attention from the media and the President than Zaky. So when Zaky was seen criticising the president and asking for his ouster with the “next president” reference, it hurt particularly bad. It’s one of those non-apology apologies where he explained how his intent was misconstrued and misrepresented. He then tried the maaf word, but here again it was a non-apology apology. “Sorry to Jokowi’s supporters if there was anything amiss in my words has caused any misconceptions. I know Jokowi as someone who is good whom I consider like my own father (we’re both from Solo). Recently he visited us at our anniversary. There is certainly no ill will in my Tweet. It is apologies like this that infuriate people. Explanations and justifications instead of an admission of wrong doing followed by an absence of proper contrition. It would not be surprising if it inflames rather than abates the fury of Jakowi’s supporters toward Zaky. Indonesia has few unicorns as it is and Bukalapak provides a good challenge to Tokopedia and other other players. It would be a pity if Zaky’s lack of communications skills sinks his promising business. He should get professional help, or at least listen to his professional PR advisors if they are any good, before he utters the next public statement or Tweets his thoughts. And while he’s at it he would do well to also whether his gruff communication style has rubbed off on the rest of Bukalapak, resulting in his minions treating their vendors and partners with the same perceived lack of care and respect.